Earlier today filmmaker, artist and musician David Lynch announced The Big Dream, his follow-up to 2011's Crazy Clown Time, his solo musical debut. The album will be released in the U.S. on July 16. 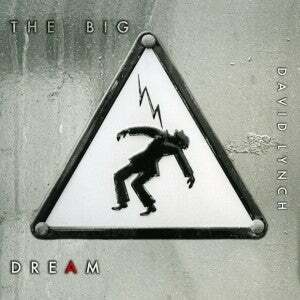 Dreams are, of course, one of the most consistent themes throughout Lynch's work, so the title may be a bit of a wink and a nod to his own canon. The new album sees Lynch returning to primary songwriting and performance duties, writing 11 out of the album’s 12 tracks. Also included in the lineup is Lynch’s take on Bob Dylan's “The Ballad of Hollis Brown.” The album was recorded over several months at Lynch’s own Asymmetrical Studio with engineer Dean Hurley, who also contributes production and instrumentation to the album. Describing his style of music as "modern blues," Lynch said the songwriting process for his new album was similar to his debut. "Most of the songs start out as a type of blues jam and then we go sideways from there. What comes out is a hybrid, modernized form of low-down blues."